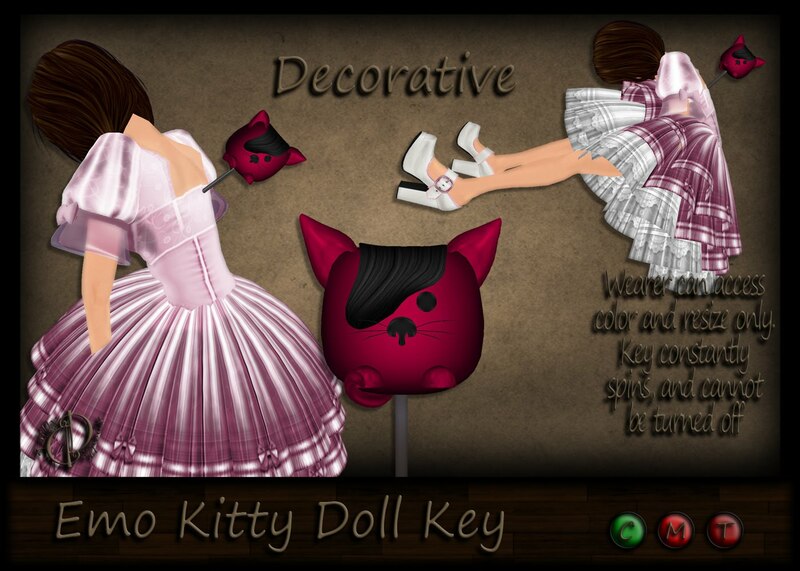 *Dilly Dolls*: I gots some more newness again YAY! It's time to get Twisted again! The folks that brought you the awesome Twisted hunts, are back at it, with Twisted Krissmuss 2010! This is my first time participating in this one. I did not find out about last years until about January, and by that point, it was already over. But I caught it in time this year, and I made ya sumfin special! 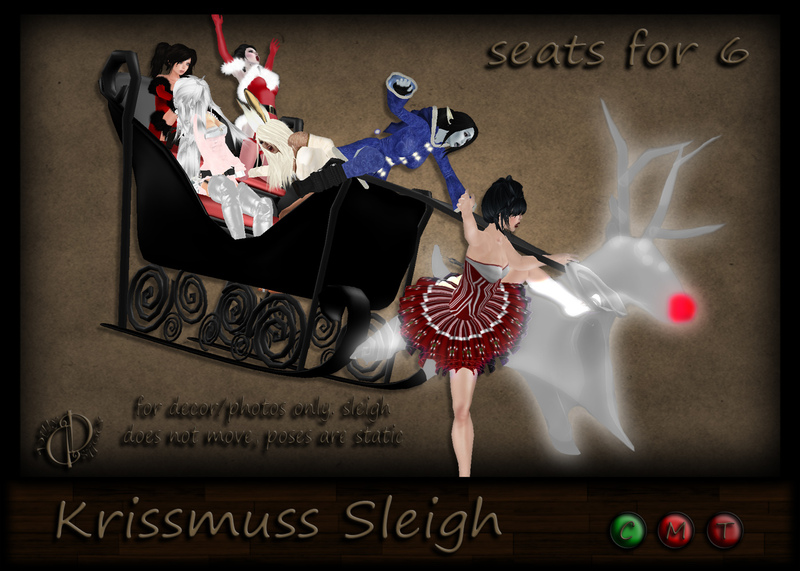 Since mostly everything I sell is no transfer, I am selling my sleigh in the form of a voucher. You purchase the voucher for L$100, then give that as a gift. When the giftie redeems it, they will get the actual sleigh, with the standard no mod/copy/no trans permissions, so it's all good. Redemption instructions are inside of the voucher. Just touch for em! Next up, new xmas gachas! 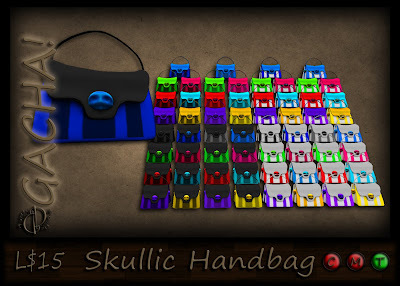 I made these handbags a little while ago, but had so many color variations, I didnt know how to split them up into packs so that I was happy with it, so when I found out that Twisted Krissmuss was offering gacha vendors, I totally facepalmed. DUH! So, you can come grab yours for just L$15 per play. 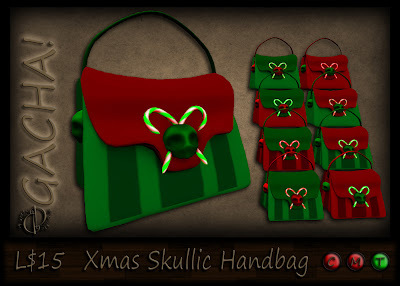 Choose from the "normal" style ones or the Xmas versions. 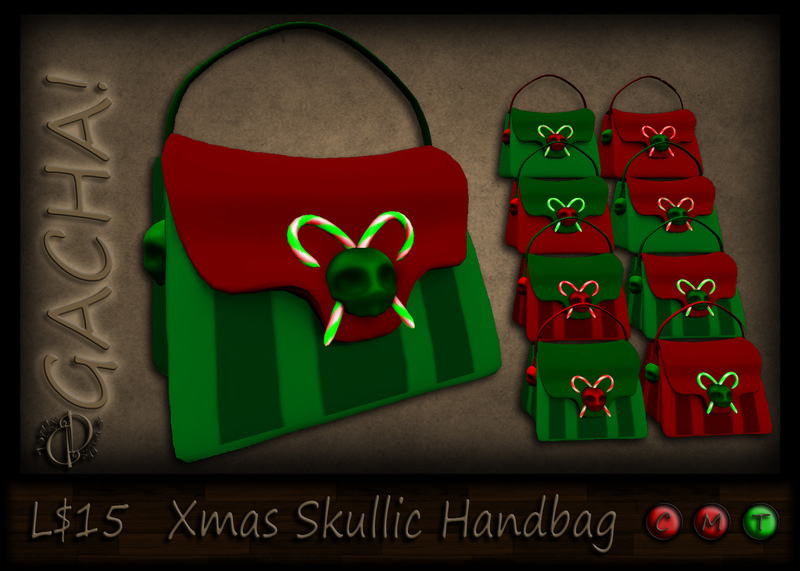 These are transferable, so you can even give them as a gift, or trade with your friends! I GOTS SHOOOOOOOOOOZ! This first pair has been burning a hole in my inventory for a while now. Yes, they are purchased prefab sculpts, but they were just so adorable, i hadda get them! As usual, they come in 8 colors, with texture change via HUD or left click to shoe. These particular shoes come in both viewer 2 AND invisiprim versions, cause I made them before I decided to stop doing the invisiprims. Next up, the very first Oxfords at *Dilly Dolls*! 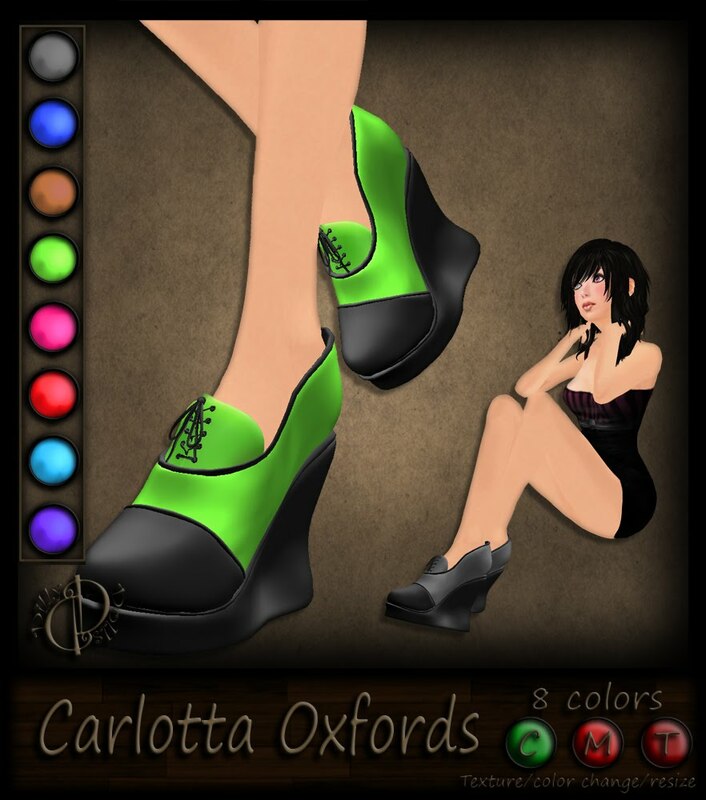 The Carlotta Oxfords are 100% custom sculpted by myself, and I decided to do 2 different variations on my pallet just for them! 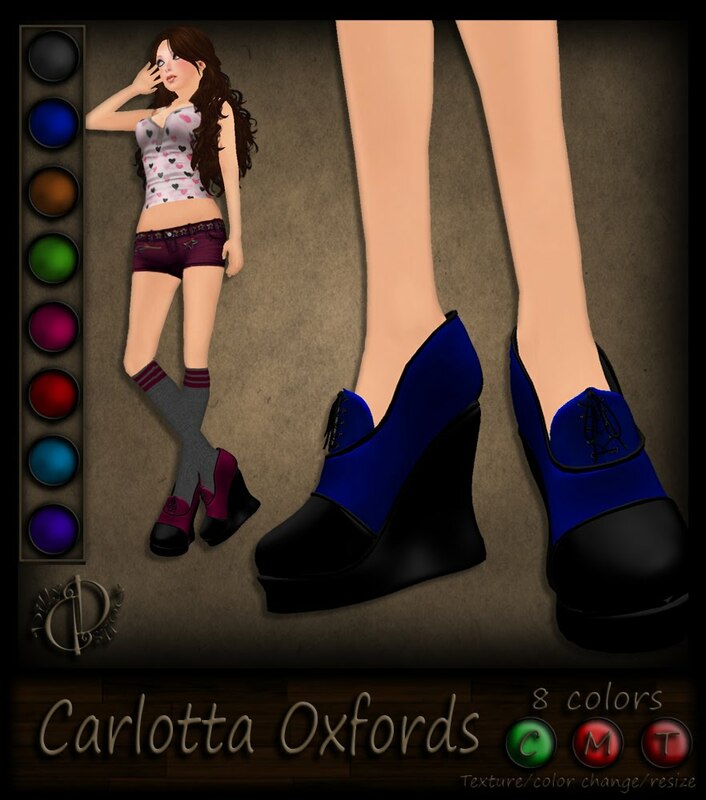 They are available in dark, medium or light soles, and are also texture change (go figure) to 8 colors! The Emo Kitty doll key and bag! I dunno what i was thinking when i made these, they were kinda random...but i like em! 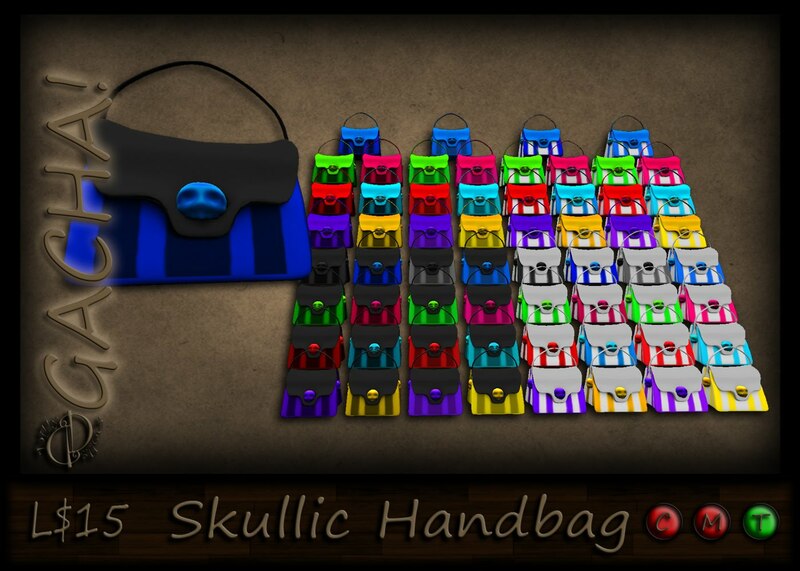 The key comes in both versions (decorative and interactive), and is texture change/size adjust via HUD or left click! 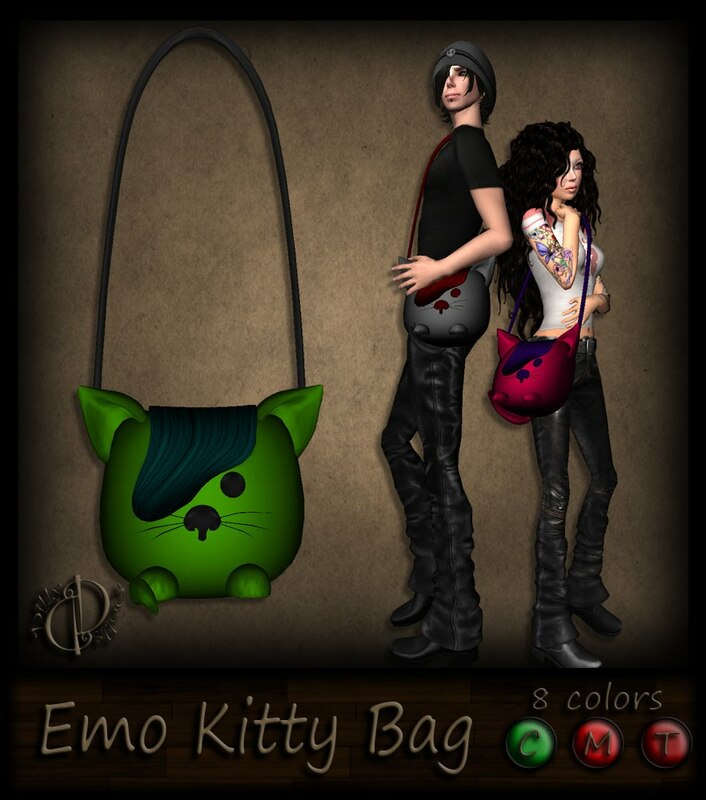 The bag is unisex, just cause it looks good on guys too! Well, on my Dilly Boys, at least! Texture change via HUD/left click. That is it for now, but I have some other stuff that I am about to finish, so keep an eye out! Here is your ride to the main store to start grabbing your suffies! Happy shopping!